The mendacity of deniers when discussing the Einsatzgruppen is encapsulated in Graf's screed, Giant with Feet of Clay, which consists of dishonest, ill-informed attacks on the late historian Raul Hilberg. Graf, whose mendacity has been discussed in several previous blogs, 'quote-mines' Hilberg to create a Straw Man version of the historiography of the Einsatzgruppen. The analysis given below demonstrates how Graf uses quotes by Hilberg that refer to the personnel composition of the Einsatzgruppen, whilst misrepresenting the instances where Hilberg discusses killings by other agencies, and where Hilberg emphasizes the Einsatzgruppen's utilization of large numbers of Order Police and native auxiliaries. In many cases, this misrepresentation can be shown to be deliberate, because Graf refers to specific killings that are discussed by Hilberg in inter-agency terms. Graf wants the reader to believe that Hilberg is claiming these were exclusively Einsatzgruppen killings, when Hilberg's text actually says the opposite. 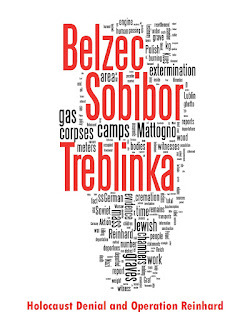 The claimed numbers of victims of the Einsatzgruppen are impossibly large. The largest of the four, Einsatzgruppe A, had 990 members. If we subtract from this the 172 vehicle drivers, 3 women employees, 51 interpreters, 3 teletypewriter operators and 8 radio operators, there are about 750 combatants left to use for the mass killings (p. 303; DEJ, p. 289). Up to 15th October 1941, Einsatzgruppe A supposedly killed 125,000 Jews (p. 309; DEJ, p. 289). Considering the fact that the mass murders first began in August (p. 307; DEJ, na), the overwhelming majority of the 125,000 victims, let us say 120,000, must have been killed in a period of ten weeks. In addition, thousands of Jews were killed in pogroms initiated by the native populations following the German invasion. After they had been freed from the Bolshevist yoke, Latvians, Lithuanians, Ukrainians and others took revenge on Jews because the Red terror machinery had been led mainly by Jews, and this retribution unfortunately fell also on Jews who had nothing to do with the Communist crimes. Graf is thus skewered by his contradictory aims. In order to promote his antisemitism, he needs to show that the natives hated Jews, but, in order to maintain his Einsatzgruppen Straw Man, he also needs to claim that all killings must have been done by Einsatzgruppe A acting alone. The Ukrainian auxiliaries appeared on the scene in August 1941, and Einsatzgruppe C found itself compelled to make use of them...Thus Einsatzkommando 4a went so far as to confine itself to the shooting of adults while commanding its Ukrainian helpers to shoot children. 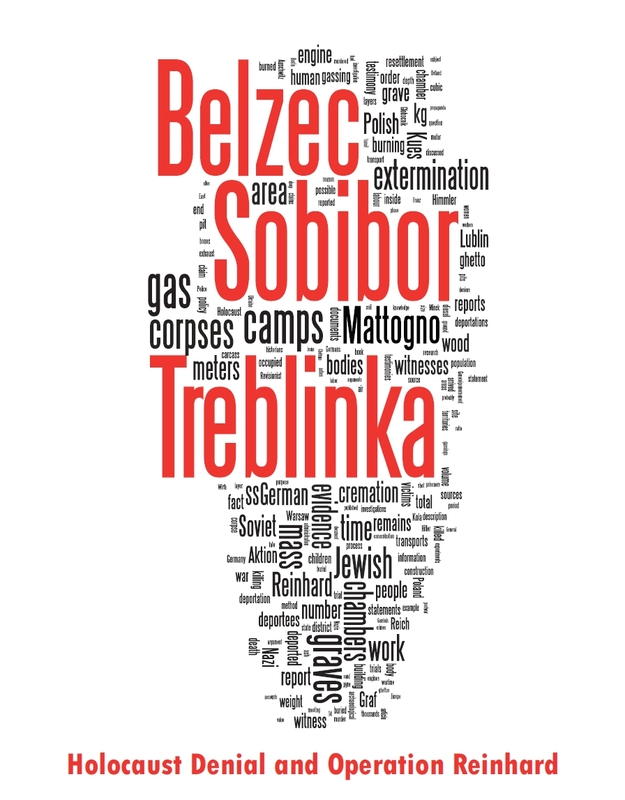 10,000 victims in Simferopol (p. 391; DEJ, p. 373). What does Hilberg say about each of these killings? Simferopol (pp.115-116): "In Simferopol, the Crimean capital, the Eleventh Army decided that it wanted the shooting to be completed before Christmas. Accordingly, Einsatzgruppe D, with the assistance of army personnel and with army trucks and gasoline, completed the shootings in time to permit the army to celebrate Christmas in a city without Jews." Graf has therefore lifted these death figures from Hilberg without acknowledging that each of the killings was instigated by the Higher SS and Police Leaders and/or the Wehrmacht, and was carried out by forces that were often primarily non-Einsatzgruppen personnel. This dishonest denier apparently has no shame.